Robin joined NCLCV in 2001 to help ensure that the state is holding polluters accountable for their impacts on our natural resources by enforcing our existing laws. From teasing out the stories from the depths of the basement files and the mess of data at the Department of Environment and Natural Resources, to going on muddy site visits with the Department of Transportation, Robin knows how well our environmental protections are being upheld, and what our state agencies need to hold polluters accountable effectively. Before she joined NCLCV, she had over 17 years experience in water and air resource management as an environmental scientist, technical training specialist, and technical consulting, including direct experience with the EPA’s enforcement programs. She currently chairs the NC Sedimentation Control Commission, and serves on the Environmental Stewardship Initiative Advisory Board, the Water Resources Research Institute Advisory Committee, and the Yancey County Cooperative Extension Agricultural Advisory Board. While Robin has the skills needed to sort through the multitudes of data and databases she finds at DENR, she much prefers harvesting heirloom tomatoes and honey. Robin and her husband started Bee Log Farm, a 2-acre farm in Yancey County, in 2005, using organic methods and selling heritage varieties of vegetables and garden plants locally. We love it when she brings us free-range eggs. 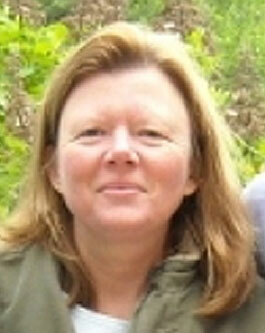 Robin has a BS from Ferrum College and a Master of Environmental Management from Duke University.